Robotic Process Automation includes RPA Companies to organize various tools such as bots and robots. It helps RPA Companies to achieve Machine Learning and Artificial Intelligence features. Robotic Process Automation providers have the capabilities to handle responsibilities which includes repetitive and regular activities. It involves tasks like Records Maintenance, Calculations, Transactions and Queries. There are few companies which are making their mark powerfully and doing extraordinary work in Robotic Process Automation. Robotic Process Automation solutions are found to help human workers to achieve skilled tasks done easily. Also, it provides expertise tasks which need more concentration with zero errors. In short words, it is basically a technology which involves robots whether they are attended or unattended. The robots are helpful to complete human activities whether it’s in manufacturing or data entry. 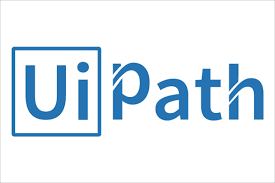 UiPath is an RPA company that offers solutions by industry, process, and technology. It has products like Platform, Studio, Robots, and Orchestrator. UiPath has been headquartered in New York, United States. It provides solutions in sectors like BPO, Finance Banking, Insurance, Healthcare, Telecom, Manufacturing, Public Sector, Retail & CPG and BPA. It processes Accounts Payable Automation, Claims Processing Automation, Contact Center Automation, Finance and Accounting Automation, and Healthcare Payer Automation to the RPA Service Providers. If we talk about the solution by technologies, it gives solutions in Desktop Automation, Web Automation, GUI Automation, Screen Scraping, Citrix Automation, Mainframe Automation, SAP Automation, Excel Automation, and Macro Recorder. Blue Prism is one of the top Robotic Process Automation Companies which has initially invented the actual term Robotic Process Automation (RPA). It provides solutions on the basis of rules and manual automation by making it a digital workforce in various ways. 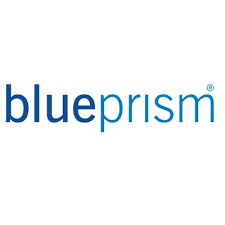 Blue Prism has a major role play in various sectors like Investments firms, Banking Groups, E-commerce etc. It uses .NET framework to build its platform. It is a Robotic Process Automation Vendor that helps businesses in various things like avoiding repetition to the robots, absolute policy compliance, high scalability, and to-be-used easily. It provides features like Scalability, Resilience, Compliance, and Security. It supports few platforms such as JAVA, windows, IBM Mainframe, Windows APP, and WWW to the RPA Service Providers. Automation Anywhere is an RPA company which develops Robotic Process Automation software. The company has been headquartered in California, United States. It has few products like Automation Anywhere Enterprise (RPA), IQ Bot, Bot Insight, BotFarm, and Bot Store. It also uses technology which consists of Attended and Unattended RPA both. Automation Anywhere provides solutions in various industries such as BPO, Financial Services, Healthcare, Insurance, Life Sciences, Manufacturing, Public Sector, and Telecom. The company has also a presence in the Asia Pacific and Europe. 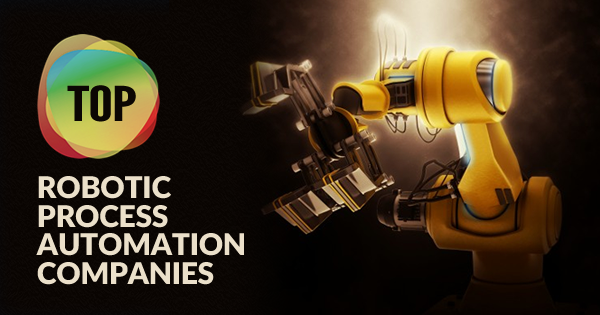 Pegasystems is one of the top providers of robotic process automation. It is a United States based company which provides solutions in Business Process Management, Digital Process Automation, and Customer Relationship Management. It has offices in North America, South America, Asia Pacific, Europe, and the Middle East. As per Pega, it has 38 offices globally. Few of the pega platform capabilities are Application Development, Chatbots & Virtual Assistants, BPM & Case Management, Decision Management, DevOps & Testing, Workforce Intelligence, Mobility, and Robotic Automation. Pega Customer Relationship Management Application has expertise in Marketing, Sales Automation, Customer Service, and Customer Decision Hub. There are three known Pega Platforms: Pega Robotic Automation, Pega Cloud and Pega Mobility. It also gives industry solutions in Financial Services, Insurance, Healthcare & Life Sciences, Communication Service Providers, Government, Manufacturing & High Technology, Retail, Media & Entertainment, Transportation, Hospitality and Energy & Utilities. If we talk about Robotic Process Automation marketplace in terms of Quadrant Knowledge Solutions, then Softmotive is one of the top providers of robotic process automation and placed amongst 2018 top technology leaders. As per a report on RPA Companies, Softmotive is also useful for small enterprises. It also provides a Digital Transformation Research Report which is useful for shared services and also gives benefits of RPA and Automation. Since 2005, it is transforming the Robotic Process Automation industry. It provides solutions in Desktop Automation and Enterprise Automation. Desktop Automation stands for Automation of all your web-based activities and desktop. Enterprise Automation stands for allowing your enterprises with Robotic Process Automation (RPA). It also integrates data from MySQL, Excel and various other databases which stores data. ProcessRobot is the widely used product of Softmotive. It provides solutions in sectors like BPO, Finance Banking, Insurance, Healthcare, Telecom, Manufacturing, Public Sector, Retail & CPG and BPA. Contextor is also one of the top RPA Companies which deals in Robotic Process Automation. As per real-time increased interactions, it gives innovative application solutions to enterprise including few RPA companies. Contextor solutions are responsible for deploying automation solutions, elevating customer knowledge, enhancing operative competence. It has special features like attended RPA, unattended RPA and application which supports third-party assistance. Contextor also provides solutions to business activity monitoring, business process discovery and KAPTAIN. Business Activity Monitoring is helpful to measure business related activities in which it processes information and gives reports based on user activities and experiences. It syndicates Studio, Galaxy and Interactive Assistant. Business Process Discovery is responsible for understanding and providing insights about user activities. It also interrelates with desktop submissions and delivers tools to measure. It also delivers reports and audits them. KAPTAIN is also a solution which is related to end to end document processes. It has a unique feature of combining mobile app development, robotic process automation, and powerful AI recognition. AutomationEdge is one of the top players in the RPA market which provides Information Technology Automation and Robotic Process Automation Solutions like Bots (Ready and Chat), Machine Learning and Artificial Intelligence. It helps enterprises to achieve tasks which involve repetitive rule and mundane. AutomationEdge is a US based company which has a presence in the Middle East, Europe, and the Asia Pacific. Like other RPA companies, it also provides support to various sectors like Transportation, Aviation and Financial. Along with these support solutions, it also gives solutions to F3 RPA Bot and ready BOT store, Robotic Process Automation in the cloud, IR Process Automation and Robotic Process Automation. It helps companies to reduce operational costs, free their workers from regular tasks and increase revenues. It has various clients like Genpact, Mashreq Bank, Smart Dubai Government, HDFC Life, ICICI Lombard, Coty, Capita, American Express, and many more. NICE is helping Robotic Process Automation Vendor in increasing customer satisfaction and accuracy, improved productivity, rapid return on investment, and better resource utilization. It has few products like Robotic Process Automation, Desktop Analytics, and NEVA Attended Automation. It also helps enterprises in identifying, optimizing, and measuring processes. NEVA a virtual assistant provided by NICE is helping enterprises to automate mundane tasks, improve compliance adherence, and increase up-selling. AntWorks is one of the top RPA Companies which comprehends every data types present in the automation industry. It has offices in Asia Pacific, Europe, Middle East, and the United States. It provides features in Code-free configuration, Accelerated bot creation, integrated business rules, end-to-end automation, digital workforce control center, multilevel access control, and a dynamic wait state. AntWorks CMR has few unique features which represent GUI based Interface, Non-intrusive configuration, infinitely scalable, robust security and distributed computing. Its single platform handles various data presentations. After deploying AntWorks solutions of Robotic Process Automation, you can experience 95% accuracy in just only three to five months. 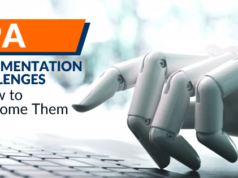 Kofax is one of the top players in RPA market and has released its one of the most efficient and fastest tool to automate processes whether they are in Information Technology or operations. It is capable of delivering data from virtual sources without coding (Virtual sources such as desktop applications, portals, and websites). Like other RPA Companies, It is also capable of integrating data from various external and internal sources like Excel, MySql, and others. It can also match the growth of businesses without any development. As per a report by The Forrester Wave Robotic Process Automation, Q2 2018, Kofax Kapow is the strongest robotic automation performer in the world. 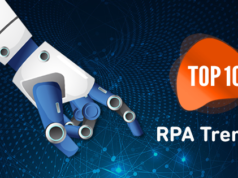 So, here we reach the end and this is all about the top Robotic Process Automation companies in 2019. You must also know about the benefits of RPA so that you would have a clear view about choosing the right path as well. It helps to automate manual tasks to automate with automation solutions. It provides features highly event-driven, better analysis, subjective judgment, rule-based tasks, attended and unattended robots. You can choose one of the top RPA vendors to build a career in Robotic Process Automation. Blue Prism is considered as a synonym for Robotic Process Automation and there are a number of career opportunities with RPA Blue Prism. 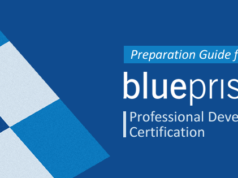 You can check out our practice test series for Blue Prism certifications if you are thinking to validate your skills and knowledge. If you have any query, you can simply put it in the comment section below. You can also write to us at Whizlabs Helpdesk, we’ll be happy to revert on your queries.